Home Android Android game Apps Console Game CS:GO Gaming News PC GAME Steam updates JOBLESS FREAKS WELCOMES YOU ! Earlier this year, we started working on our Blog, Youtube Channel and Social Media. And now after a perfect beginning it's time to grow. With CS:GO being important part of Jobless Freaks. We'll continue playing,streaming,highlights for you.Also there is something new coming to our channel, Stay Tuned. Also we'll soon start with Photoshop Tutorials on our main Youtube Channel "JOBLESS FREAKS". Soon we'll start bringing atleast 1 tech update everyday on our Tech channel "JOBLSS FREAKS TECH". Incase if you've not subscribed to any of the channels, SUBSCRIBE now. And all the news/updates covered on both of our youtube channel will be updated on our Blog. So you won't miss any update from our side. 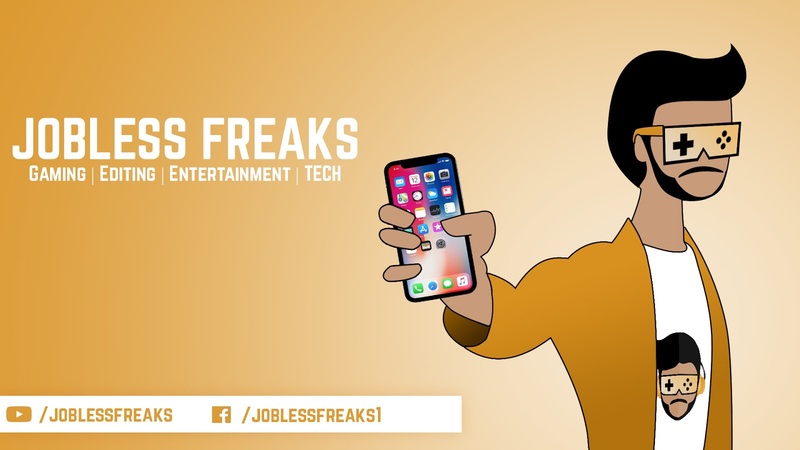 Watch the speedart of the Jobless Freaks character below. Also watch The Making of Jobless Freaks below. Link to the CS:GO Trailer Mashups (Bollywood) is given below, Do check it.